Panic has gripped five banks as top managers are to face criminal charges of violating anti-money laundering act No. 9 of 2009. By late last week, the managers of the said banks were busy engaging legal minds to find a middle ground in handling the case. One of the options being worked on is to agree and be fined rather face prosecution. In fact, many of those fearing arrest are rarely found in their offices, they plan to enter a plea – bargain fine agreement. 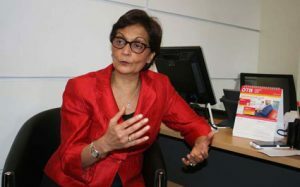 Diamond Trust Bank CEO Nasim Devji. Six Equity Bank top officials, five from Standard Chartered, four from Diamond Trust, three from Kenya Commercial Bank and two from Cooperative Bank face arrest over the Sh1 billion looted from the National Youth Service. Investigations by the Directorate of Criminal Investigations have established that the managers knowingly allowed key suspects in the NYS scam to move large sums of money undetected through their banks. 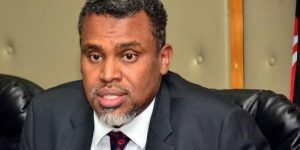 DCI boss George Kinoti, through a letter dated February 7, has asked the Director of Public Prosecutions Noordin Hajji to charge 20 top officials of the banks. The Central Bank of Kenya has already fined the five lenders a total of Sh392 million for failing to report large transactions to the industry regulator. The officials now targeted for prosecution failed to inform the CBK and FRC of any transactions involving the transfer or withdrawal of Sh1 million or more, in line with the Proceeds of Crime and Anti-Money Laundering Act. Cooperative Bank handled Sh250 million, which went to Sambeat Investments and former Kirinyaga woman representative Winnie Njuguna. Payments of Sh886.42 million were made by the State Department for Public Service and Youth Affairs on behalf of NYS to Equity Bank. Diamond Trust Bank handled Sh164 million intended for Ms Omollo, Ms Ngugi, Advance Quick Fit and Jelly Merchants. 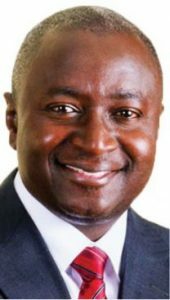 StanChart processed a total of Sh1.6 billion between January 2016 and April 2018 out of which Sh588 million was suspiciously transacted by bank officials. KCB received Sh800 million and was fingered for looking away from transactions valued at Sh148.3 million. 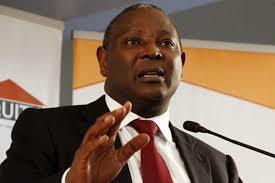 At Equity Bank, detectives want to charge group managing director/chief executive officer James Mwangi, Mary Wamae, group executive director and Bhartsh Shah, the chief operating officer, alongside branch managers where the accounts were operated from. The officials allowed the opening of 10 accounts at Equity Bank belonging to Lilian Wanja Muthoni trading as Sahara Consultants, James Thuita, Lidi Holdings Limited, Lidi Estates Limited, Ameri Traders, Interscope Tech and Services, Flagstone Company Limited and Ellywn Supplies. Already, the bank accounts used as conduits for looting more than Sh1 billion from the NYS have been frozen. At Standard Chartered, those to be charged include Kariuki Ngare who took over from Lamin Manjang, chief executive officer and Chemutai Murgor, chief finance officer, alongside branch managers. The officials allowed Firstling Supplies Ltd’s to receive and withdraw part of the Sh1 billion looted from NYS for services not rendered. The accounts have since been frozen. At Diamond Trust, detectives want to charge the bank’s chief executive Naseem Devji. The officials allowed Sahara Consultant, Sheela, Stephanie and Kamweti to collude with NYS staff to fleece millions of shillings which they deposited at the Diamond Trust Bank accounts. Detectives are also keen to charge Nita Shah, head of credit support and Alkarim Jiwa, head of finance and planning. 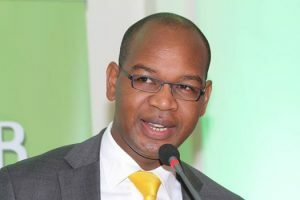 At KCB, the sleuths want to bring to justice chief executive Joshua Oigara and Charles Langat, chief financial officer while at Cooperative Bank, the spotlight is on Gideon Muriuki and Patrick Nyaga who is director, finance and strategy division.